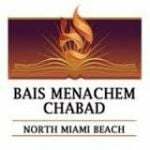 Bochurim Minyan is held each Shabbos. Designed for boys in their teens. The Minyan is directed by our venerated educator, Rabbi Eily Smith, skilled at imparting knowledge and ethusiasm for Davening and Torah study. If you answered no, please note how you would like to pay the monthly fee.